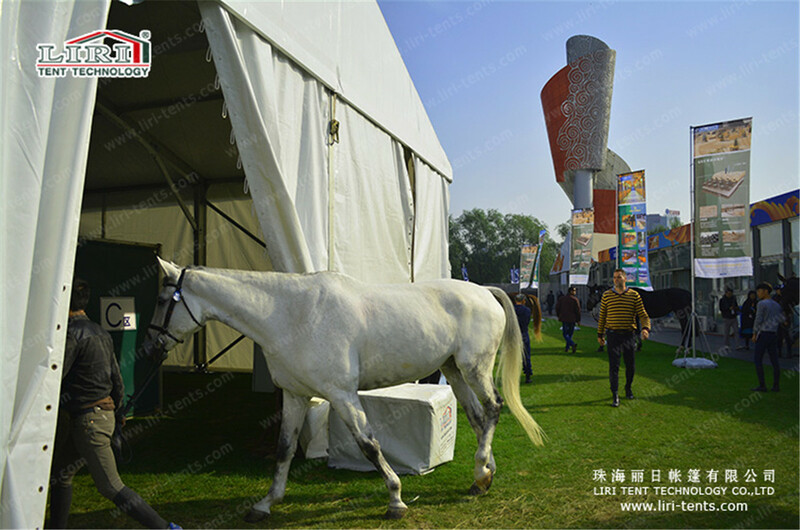 Rencently, Liri Tent has sent many tents for the horse competition, with different shape and design. Actually for the tent , it can use for different purpose and with different decoration. he clear span if the Big Tent-EBT Series is 20m, 21m, 25m, and 30m. 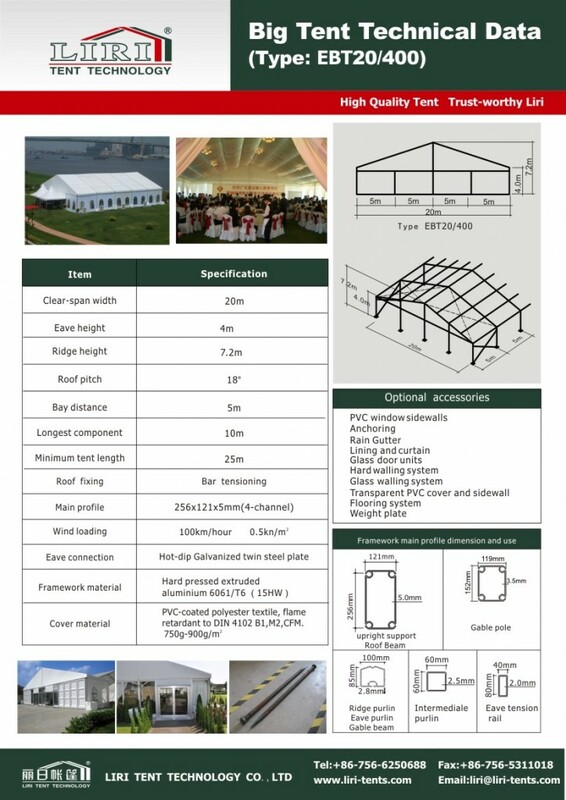 The main profile size of the tent is 256x121x5mm and its modular structures can be increased and decreased in bay distance of 5m according to the clients’ requirements. The main frameworks (upright support and roof beam) are manufactured with high impact extruded anodized aluminum (6061/T6). The PVC covers use PVC-coated polyester textile and flame retardance which is based on the European standard DIN 4102B1, M2. There are also many different styles sand shapes like square, hexagonal, octagonal, decagonal, dodecagonal, and double decker. All clear span big ten structures are available with a complete range of accessories. These accessories are sidewalls with clear windows, ground anchors, weight plate, lining, glass wall system, and ABS hard wall system.